Will artificial intelligence develop to the point where it can beat a human in stratego? This is my question to the 'know hows', is it possible to teach an ai to respond to known knowledge of his opponent? If so then the combinations of information a computer could learn could indeed beat the best of humans if it was designed by the best players. I'm sure it would take an atrocious amount of time to create but it could be done. Imagine an ai Nortrom that never suffered any type of mental fatigue or over stimulation. Even more amazing, think of the code? If Nortrom made this, the code would hold his deepest Stratego secrets. A genuine chest of Stratego treasure. In other games, hand-coding human knowledge has proven to be almost impossible to give super-human performance. Older computer programs in chess and other board games were very efficient number crunchers with rather simplified evaluation functions to assign a judgment value to a position. Adding knowledge to such program has always slowed them down too much to benefit from better judgment. AlphaZero showed that no special knowledge is necessary. Just lots of computers, learning from self-play (many more games than played in the history of humankind). The knowledge is represented as a hugely complicated non-linear function. Works for Go, chess, Shogi and also poker. No reason why stratego won't be next. Yes responding to the known pieces is needed to achieve this and it is possible.The rest of what you are saying is much harder to program. In the first games, the heroes walk aimlessly around the map. After several hours of training, concepts such as laning, farming, or fighting over mid emerge. After several days, they consistently adopt basic human strategies: attempt to steal Bountyrunes from their opponents, walk to their tier one towers to farm, and rotate heroes around the map to gain lane advantage. And with further training, they become proficient at high-level strategies like 5-hero push.
" In the first games, the heroes walk aimlessly around the map "
Sounds like the allies I get on that game all the time. Most of you have probably heard about the AlphaZero program. Last week, DeepMind published the final version of a paper that had been circulating for a year. AlphaZero is now the uber-champion in Go (by more than 1000 Elo), in chess (beating the best traditional engine Stockfish) and Shogi. Schrittwieser says the next area of research is creating an algorithm like Alpha Zero which can still make optimal decisions with imperfect information. 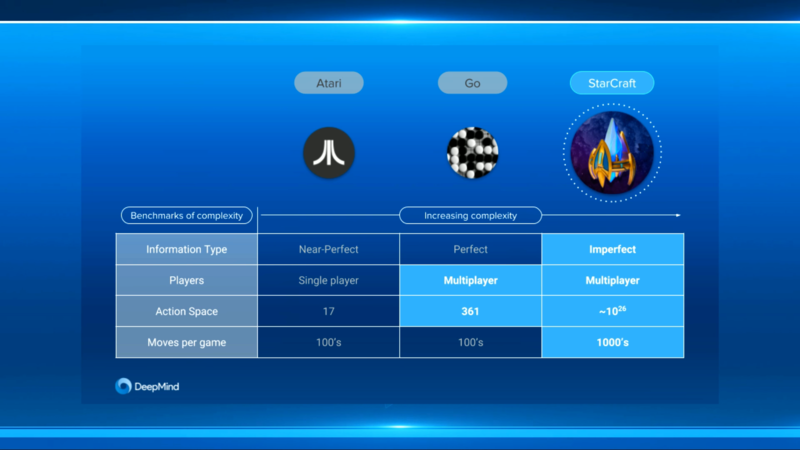 There are still a few boardgames capable of giving algorithms like Alpha Zero this kind of challenge, too — Schrittwieser mentioned Stratego, in which players hide their moves from one another — and Starcraft, which is another area of interest for DeepMind’s gaming-focused researchers. Maybe we should get in contact with this guy. DrudgeReport had an article link about AlphaZero learning human intuition a few days ago. I posted in the comment section that's what is needed to beat top Stratego players. I stated how bad the current Stratego AI engines were. And that it would be a very tough challenge to beat the current top players. I think my comment got 5 likes. I'd be more than happy to play vs AZ Stratego. DeepMind is a London based company. If the next live WC is in London next August, perhaps an exhibition game against the new champion and/or #1 ranked player can be arranged. Assuming they indeed are extending AZ to other board games. I’m sure they are inundated with requests from other gaming communities. Perhaps an official ISF invitation would carry some weight. I can offer my help in phrasing the request in terms of why Stratego is interesting from their AI perspective. Also, the CEO Demis Hassabis is a gaming wizard himself: former #2 rated junior chess player (behind Judith Polgar) and 5 time winner of the Mindsports Olympiad allround title. He also played in the Stratego WCs of 1997-1999, placing 25th, 43rd and 44th, reaching a 1130 Kleier rating at some point. A while ago, I mentioned on Twitter that Stratego was the next big challenge, which got a like from one of the AZ researchers, Marc Lanctot. He actually worked at Maastricht University before, collaborating with Mark Winands on tree search simultaneous move games, IIRC. And Mark Winands published actual Stratego research papers around 10 years ago, and participated in the Computer Stratego WC. Those research papers also mention the Two and More Squares Rules, so they knew what they were doing (even though the research did not produce a strong program at the time). So perhaps it’s "in the air" that Stratego is being considered as next challenge. OTOH, DeepMind also recently published AlphaFold which produced the best protein folding algorithm, crushing the state of the art that the entire pharmaceutical industry had been able to achieve over the last few decades. These endeavours are much more immediately valuable than game playing, even though the long term benefits (negotiation etc.) of the latter can also be huge. Well, as far as I can tell, artificial intelligence doesn’t need much to beat humans in much of anything these days . . .
Yours truly most humbly included. Edited by KissMyCookie, 16 December 2018 - 11:28 PM. Has DeepMind ever said anything about AZ doing stratego officially? Not Deepmind the company, but Julian Schrittweiser, Deepmind researcher and the lead programmer on AlphaZero mentioned Stratego as possible next step, see my quote a few posts up. Edited by TemplateRex, 25 January 2019 - 12:23 AM. I've watched the YT presentation of the SC2 games. I found it interestin to see that the AI, in those games, took, in my opinion (I've played it at just blow prof skill level, so I do have quite some idea what is going on ) a weaker strategy, but managed to pull off wins by superior unit control. Doing pick off after pick off. Basically, the AI played rock paper scissors and managed to beat paper using scissors. Quite interesting. Now of course this was a showmatch, but I feel there were some missed opportunities. The AI has played many years of gaming time, it would have been interesting to see all race matchups instead of protoss vs. protoss only. It also would have been interesting to see how the AI sees balance between the three races, which often is a fierce discussion among players. I guess they will soon do the full game. Their competitor OpenAI also gradually lifted restrictions in Dota2 (still not the full game IIRC). Their resources are incredible though: they had 16 agents getting 200 years experience in 14 days. That’s roughly 80,000 computers practicing simultaneously!